I find this one rather interesting. 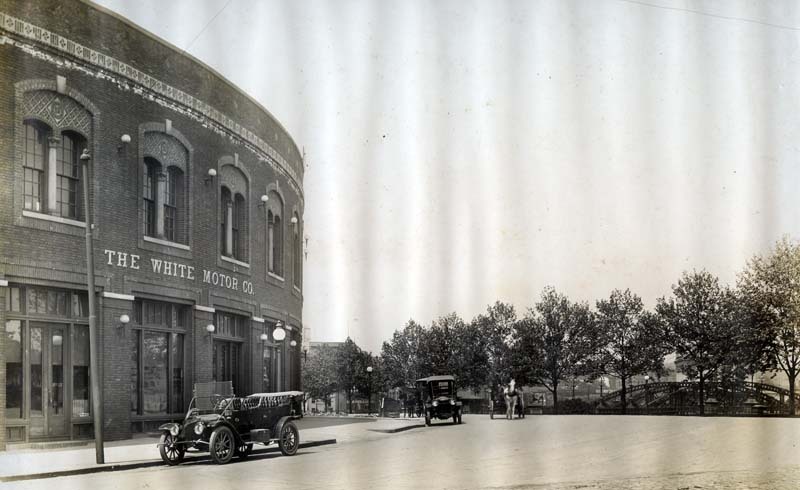 The building, as you can see, housed the White Motor Company. The photo was taken on May 12, 1913, at the intersection of Mt. Royal and Guilford Avenues in Baltimore. In the photo, we see both automobiles and horse-drawn vehicles. As best I can tell, the White Motor Company was based in Cleveland, so I would guess this building perhaps housed offices and showrooms. Interestingly, the building still exists and has, along with several neighboring buildings, recently been turned into apartments. You can read the architects’ report of the entire project and see “before,” “during,” and “after” photos here (this is a rather large PDF, so it may take a while to download).